Silicon art has the power to appear incredibly realistic — just take a look at Laira Maganuco's work. You might remember the baby werewolf we showed you in October last year. 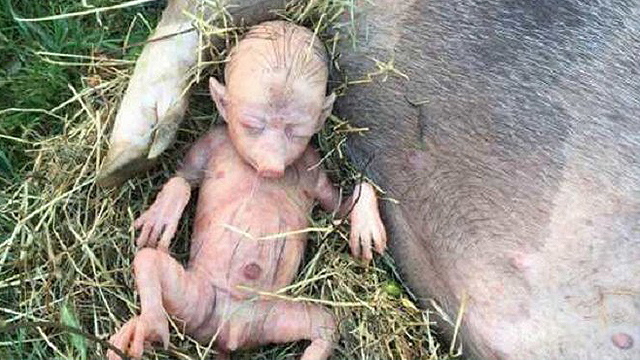 This pig-baby-hybrid is Laira's latest internet craze. Not only does it look incredibly life-like but the thing moves. Thoughts?